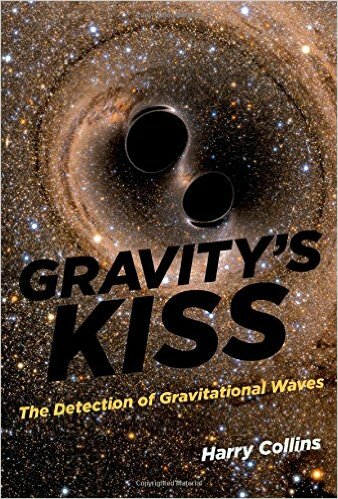 Though I was totally fascinated by this book, it isn't the one to read to find out everything you need to know about gravitational waves. Although Harry Collins does, in passing, mention aspects of the science and technology involved, his focus is to forensically examine the process by which a large group of scientists goes from a breakthrough discovery to releasing it the world. I have to be honest, this book won't work for everyone. Because I'm not a scientist but a science writer and interested in the process of scientific discovery and communication, it will appeal to me more than someone who's only interested in the science itself, but I found it wholly absorbing. Collins, practically the only outsider in the electronic network used by the gravitational wave consortium to discuss their work, takes us through the process almost in real time, as they react to and decide how to present their findings. One of the most absorbing aspects is Collins' real concern at the way the scientists lie to the wider community in order to protect their secret for the big reveal. While clearly the details need to be kept back, he argues convincingly that the outright misleading approach taken was unnecessary and unhelpful - leading even to the scientists holding back a second confirming observation which was already well-analysed when they made their announcement of the first discovery. Because of his closeness to the whole process it's arguable Collins gives a bit too much detail sometimes - even I found some parts a little tedious - but that completeness is part of the power of his reporting. He also, considering his ability to spend so long on, say, those words 'first' and 'direct', rather surprisingly didn't comment on a scientist in this intensely picky process who made the hilarious statement that an astronomer 'literally exploded' during a talk. However, these are minor quibbles indeed. If you want a real insight into what happens in one of these rare modern big science breakthroughs involving hundreds of scientists and a big budget, combined with impressive insights into the reasons why science and its communication are not as straightforward as many think they are, this is a wonderful book. Just don't buy it simply to learn about gravitational waves.